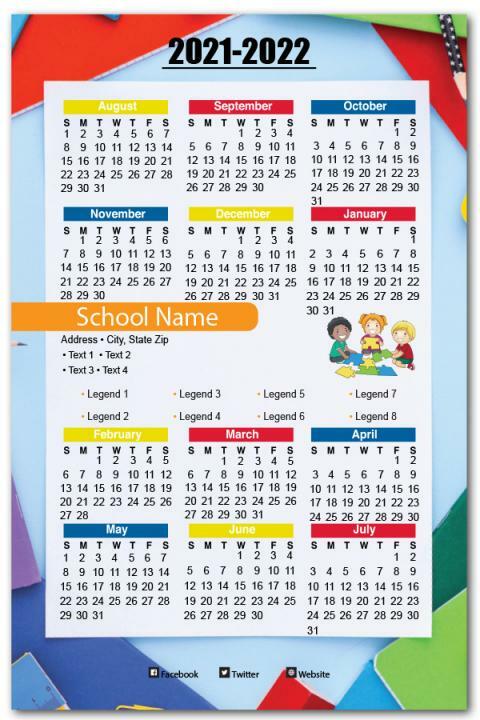 Inspire your students to take their studies seriously through these custom 4x6 inch high school calendar square corner magnets -20 MIL. Students, teachers and parents – all can benefit from these calendar magnets staring at them from over refrigerator doors, work cabinets, study cabinets, etc. Being large they offer excellent working space and come with an assurance of being seen. Attractive price savings can be availed on bulk ordering these magnets. Free art setup, online design and shipping – are offered on all orders. 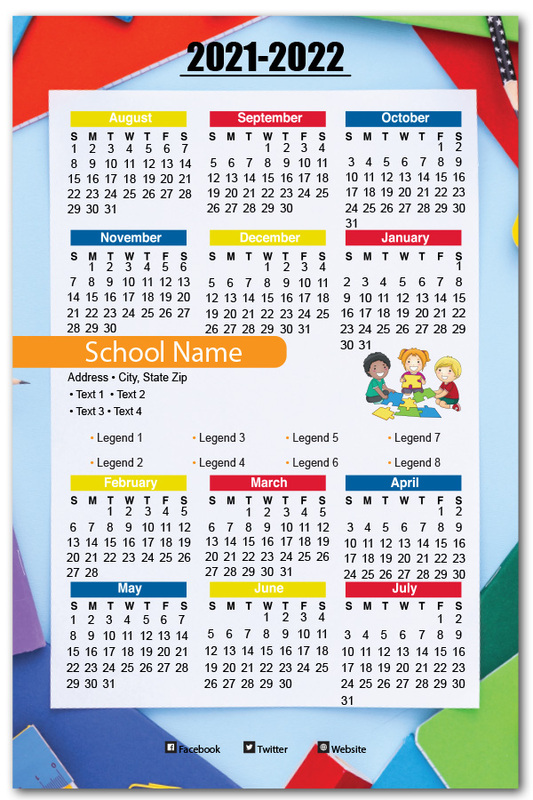 Request a quote to know wholesale price benefits that you can grab on these special customized 4x6 inch high school calendar square corner magnets – 20 MIL.